The Fall Out Mat is Foldable and Made From Vinyl. 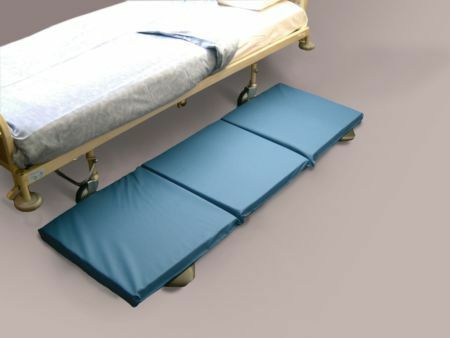 This fall out mat is suitable for use with a low level bed, this high density foam mat is covered in vinyl and folds for storage. Helps to reduce the possibility of impact related injuries when the situation dictates that bed rails should not be used. The mat folds into three for storage and transport.